An awkward and lonely young man with special reason to hate the Huctans, Timothy is trapped in a cycle of purposelessness and drudgery. But when the Huctans conscript him into a secret army—and when a girl with a strange set of skills sets him free—Timothy gets a chance to fight back. Throwing himself into the rebel cause and training as an elite young Thane, Timothy ignites years of pent-up frustration into an obsessive drive to become the best. For months he practices combat and espionage, finding friendship with an equally fanatical young rebel and losing himself in the exhaustion of training and the danger of missions. Loving every minute of his new life, he wraps his new identity completely in service to the rebel Band. The rebel Band which, unbeknownst to him, was created to be betrayed. Verinald had no sword, no knife, no poison, and no noose. He was chained to tent pegs by wrists and ankles, which ruled out breaking his own neck. He had a bowl of soup—tin, not glass—and he had a spoon. The spoon was his best chance. But before he could work up the nerve to use it, the tent flap rustled. Verinald relaxed his grip and focused on his soup. He was calm. He was rational. There was no reason to take the spoon from him. Then a voice spoke. “Let him sit up,” it said. Verinald was not an easily flustered man. He had trained to maintain his composure since he was old enough to talk. He had kept a straight face while in fear for his own life, while lying to generals and kings, and while watching men die. But as he heard that voice—as two Huctan soldiers loosened and extended the chains on his wrists and raised him to a kneeling position—he trembled with a mixture of grief and rage that was beyond his control. “It’s good to see you alive, old friend,” the voice said. Verinald forced himself to raise his gaze, to meet the eyes that belonged to the voice. The trembling would not stop. Verinald knew the reason he was still alive. His only consolation was that they could torture him until their knives grew dull, and he would not tell them anything. Not because he was strong, but because there was nothing to tell. Everyone else was already dead. The two soldiers obeyed, and Ricera squatted on his hams so that his eyes were level with Verinald’s. He was close, well within reach, and Verinald still had his spoon. This, more than anything, was a measure of Ricera’s contempt for him. Verinald might be Ricera’s peer in subterfuge and espionage, but in combat he was no better than a common soldier. Even if the spoon in Verinald’s hand had been a sword, he would have been no threat to Ricera. Verinald’s hand shook on the spoon, and he could not stop it. “I have your son,” Ricera said. Just like that. Ricera’s abruptness should have shocked Verinald into showing some emotion, into betraying something, but this deception was so practiced—so ingrained—that Verinald actually managed to raise his eyebrows in confusion. “Who’s measuring us against one another now?” said Verinald. “I have no son,” Verinald said. Verinald’s spoon began trembling again. “My son is dead,” Verinald said. Verinald could not stop himself. He was too tired, too full of despair and hate and self-loathing. He dropped his head, dropped his spoon, and began to weep. Ricera’s hand touched Verinald’s shoulder, and Verinald jerked as if burned. He looked up to find a mirthless smile on Ricera’s face. 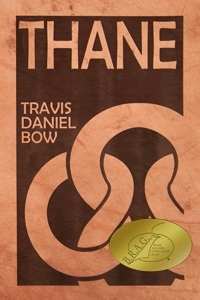 Travis Daniel Bow is the author of Thane and its sequel, King’s Table. 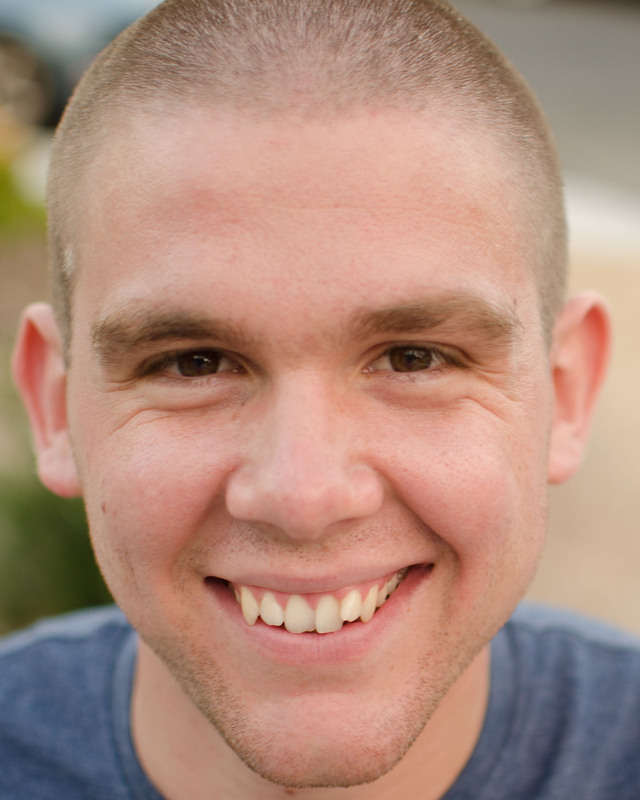 He grew up in Reno, NV (where he raised pigs for FFA), earned degrees from Oklahoma Christian University (where he broke his collarbone in a misguided Parkour attempt) and Stanford (where he and his bike were hit by a car), and now does research and development work for Nikon. He has eight published short stories, four pending patent applications, one wonderful son, one beautiful wife, and one loving God.